Last week I went to Serge Videl and I wanted a complete change. Paige put so much love into doing my foils and cut and then we decided to have a bit of fun with the toner and made my hair rose gold! I looked and felt absolutely amazing when I left! Thanks Paige! I am new in the area and was looking for a hair salon. I called Serge Videl this morning to try my luck and fortunately was able to get a booking. The staff member (Paige) went above and beyond to make me feel welcome and comfortable. She was friendly and took the time to understand what hair colour and outcome I was after; also she gave me a perfect head massage after the hair wash. What followed was the best experience Iâ€™ve ever had in a hair salon, Serge the owner himself cut my hair. He was so nice, knowledgeable and understands what needs to be done. A very lovely gentleman to meet, he gave me the confidence that I do have a lovely hair and his genuine feedback about my hair made my day. I felt beautiful and proud (Usually the hair salon I have been to always tells me how bad/weak my hair/scalp is and I should buy their product etc) but not at any point I felt he is trying to sell any product to me. He made me understand how different hair texture works and how one can take care of these. Serge and Paige thank you so much for a superb experience! I walked out of the store feeling beautiful and confident. I could not fault a single thing about the services I received today.I would highly recommend this salon to anyone looking for a new salon. This is now my go to salon!!! See you guys soon. I highly recommend Serge Videl Hairdressers. Thank you for caring for my long hair and fixing my blond balyage and doing some extra sun-kissed highlights. Big shout out to Amariah, I love my hair. I love you guys. I heard about Serge Videl from a friend recently and I decided to check it out, the staff were super approachable right off the bat and were really patient with me deciding on what style I wanted. My hairdresser Ami is awesome and the haircut was fantastic and the price was pretty decent as well. I'll be back soon. I'd definitely recommend this place to others. New 5.0-star Review: "I highly recommend Serge Videl Hairdressers. 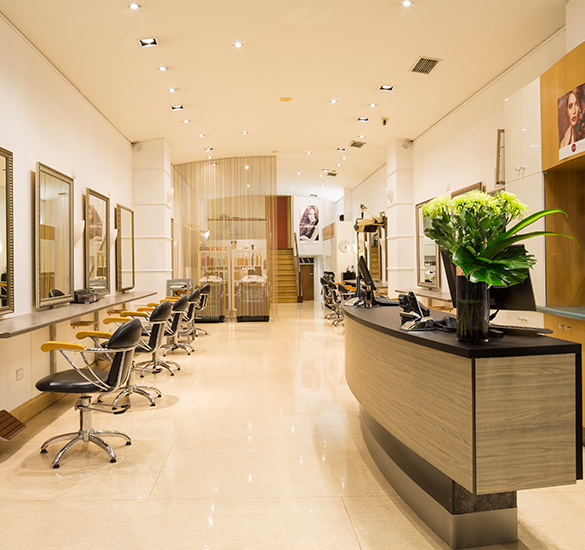 I have been a client for ages now and I love the atmosphere in the salon and genuine care from the staff. Serge cuts my hair in a way that really suits me and is easy to style myself. From great coffee, to the latest magazines and especially the relaxing hair treatments and head massages, I love my me time at Serge Videl." I just went by yesterday to ask for an appointment and could stay right away. Amariah have me good advice and made the cut with lots of love to details. The atmosphere was very pleasant and the stuff extremely friendly. I can warmly recommend this salon. I have nothing but fantastic things to say about this salon. Serge completely transformed and saved my hair after it was butchered at another local salon on Glenferrie Road. Ever since then, there is no one else I would trust with my hair and I am always happy with the results every time I go. The customer service is outstanding, Serge and the team are so warm and welcoming, always making me feel completely at home. See you in a few months Serge! Serge Videl SAVED MY HAIR. Serge himself is a master of hair and all of his lovely staff are absolutely charming and super talented! (Hi Amariah!) Their expert team gave me great advice and recommended effective treatments for my super dead hair which is now a lustrous wavy silken wonder. I first visited Serge Videl due to a recommendation from a work colleague --- that was four years ago! Aside from the fact they are all so welcoming and friendly from the moment you arrive, they go out of their way to provide excellent service every time. They actually listen to what I want and I trust their honest and expert advice â€“ which is exactly what you want and need as a client. Serge Videl has a fantastic, talented team who provide a consistently excellent service and I could not recommend them more highly. Second time I've been and could not be happier. Been having my hair coloured for a while now and this place offers the best colour that lasts along with a great experience. Also the massage chairs while having hair washed is a delightful bonus. I have been a client at Serge Videl several times in my travels to Melbourne from my current home in Spain. I can say without a doubt that their quality of service and products I have not experienced in Barcelona. My experience in the salon, particularly with Amariah one of their hair professionals, was amazing. My hair was cared for, beautifully coloured and cut, and she understood exactly what I wanted. However not only myself, but all customers I observed were equally satisfied. I highly recommend Serge Vidal for your hair care needs. Very happy to have found this salon. Long time in business and it shows. Personal touch from the owner, staff really friendly and professional I am and very happy with cut and colour. I'm going back for sure! Iâ€™ve been going to Serge Videl Hairdressers for four years now and could not recommend it more highly! Every cut, colour and style Iâ€™ve had there Iâ€™ve been really happy with and the staff are warm, welcoming and I always leave feeling fabulous! I had the pleasure of Amariah styling my hair today. She was perfect! Very personable and friendly and best of all she gave me the best cut and blow wave I've ever had. I also loved that Serge praised her work. What a great vibe the salon has. You should be so proud!